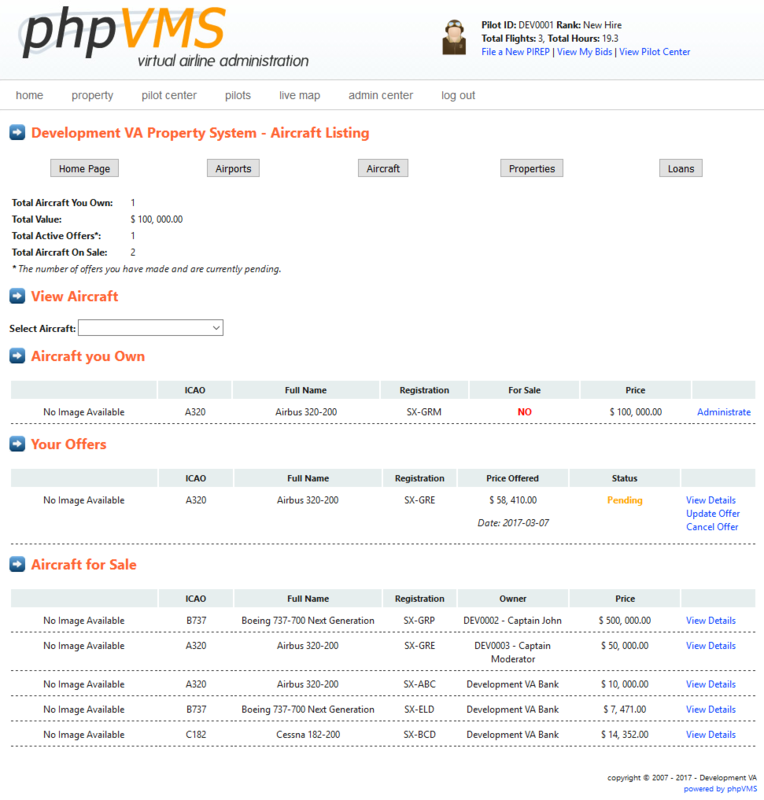 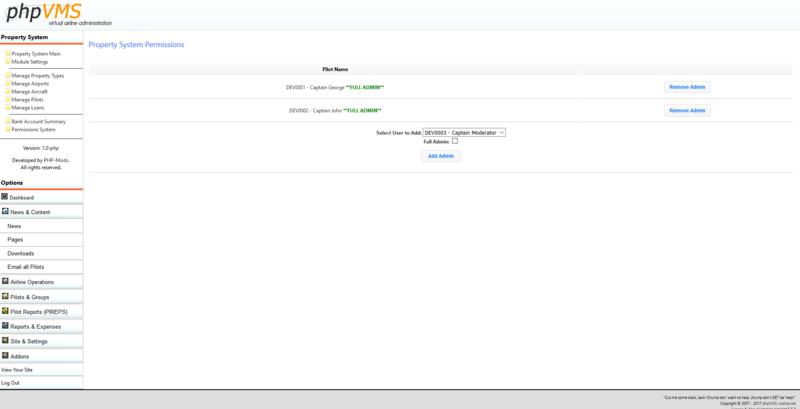 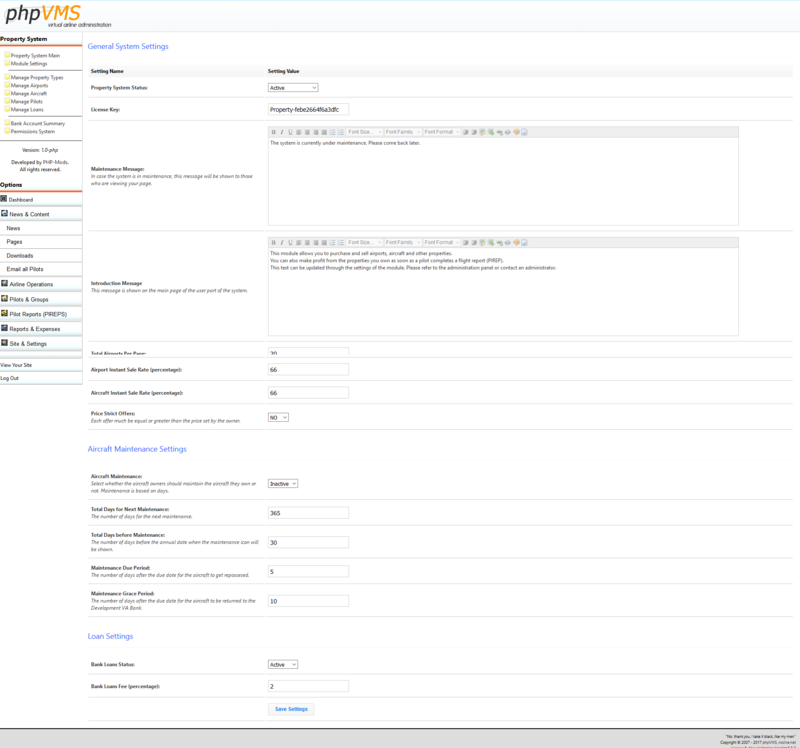 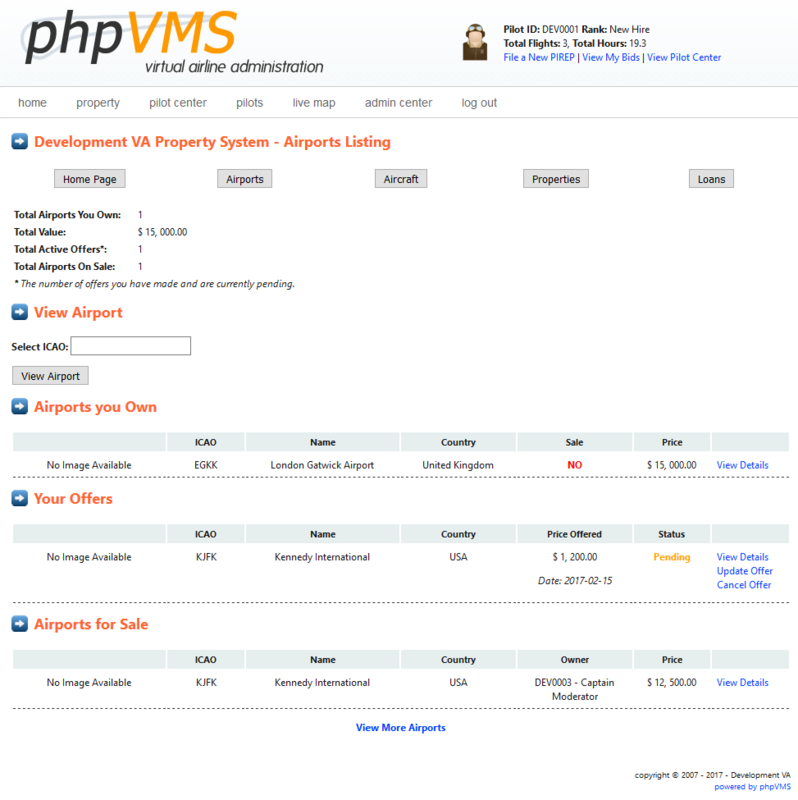 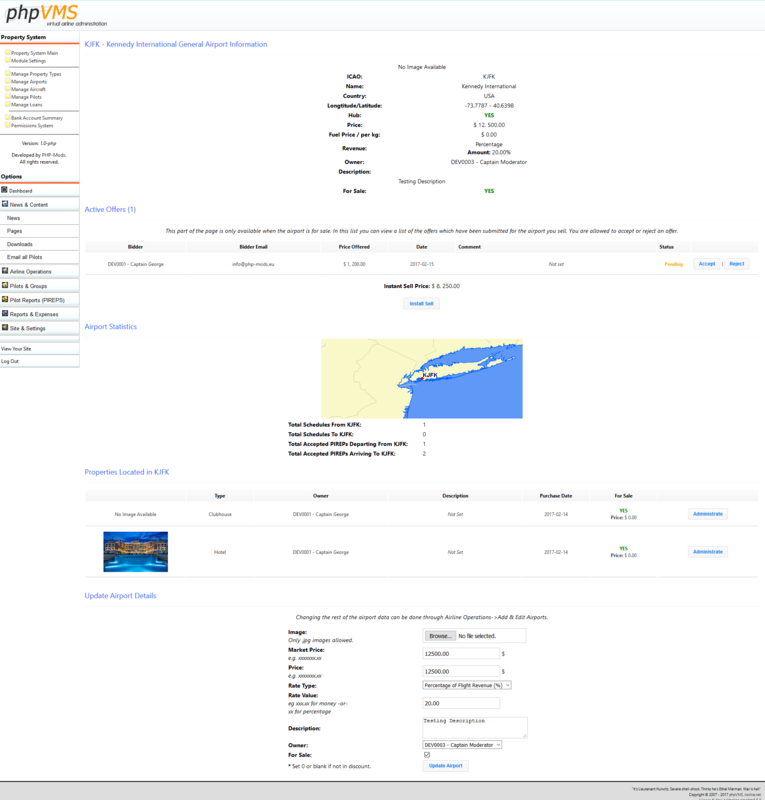 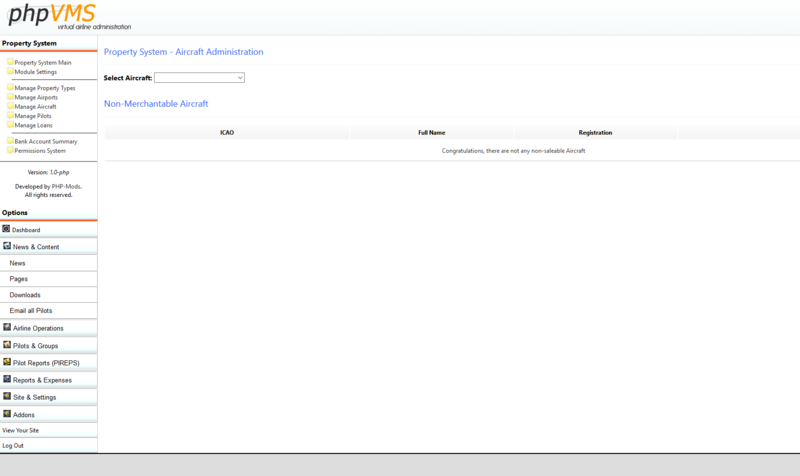 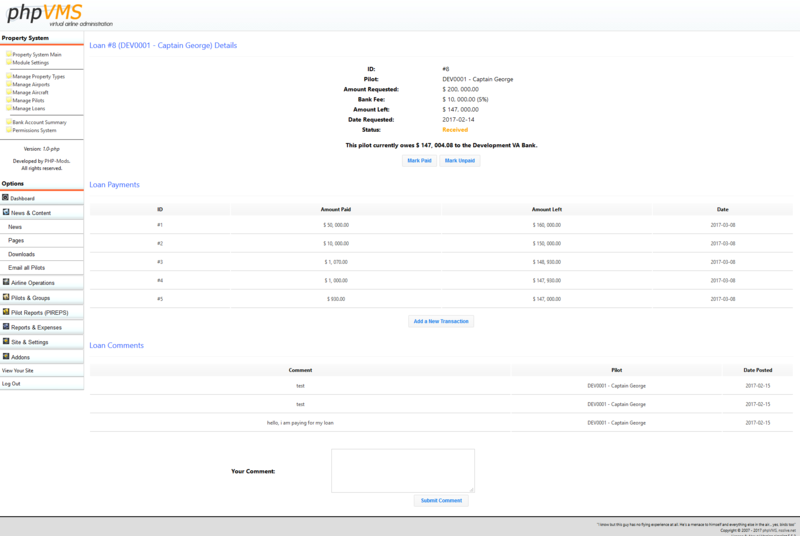 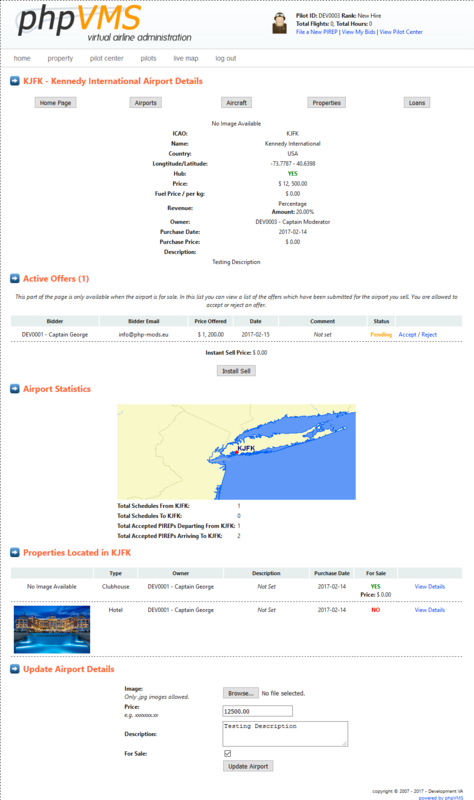 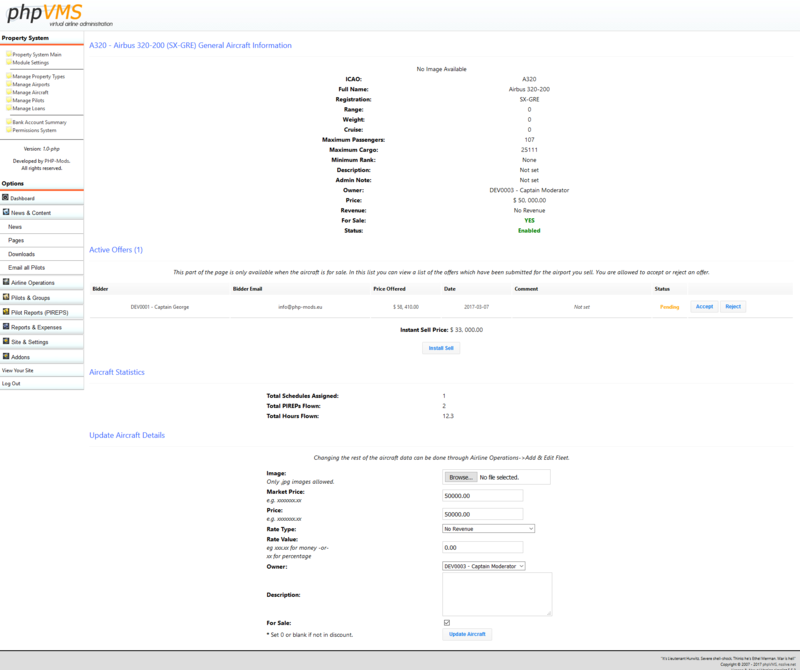 The pilots can purchase airports and aircraft based on your phpVMS database. 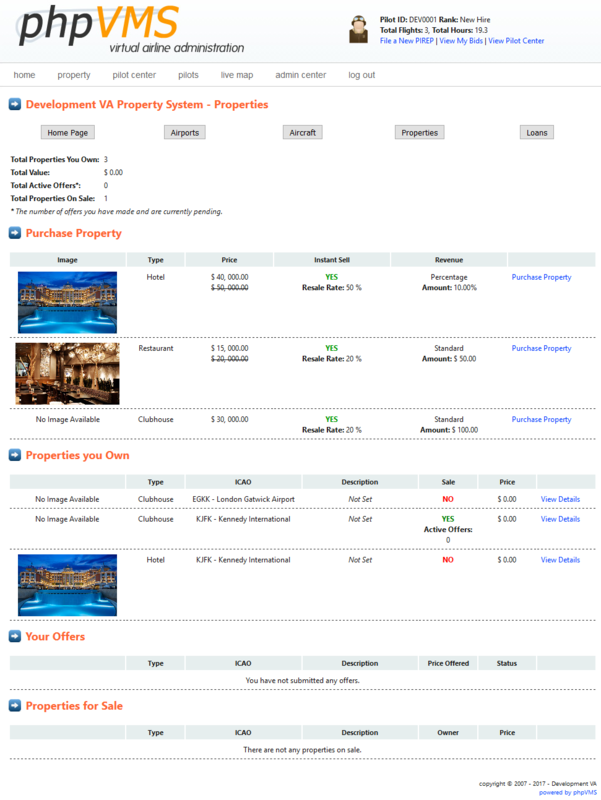 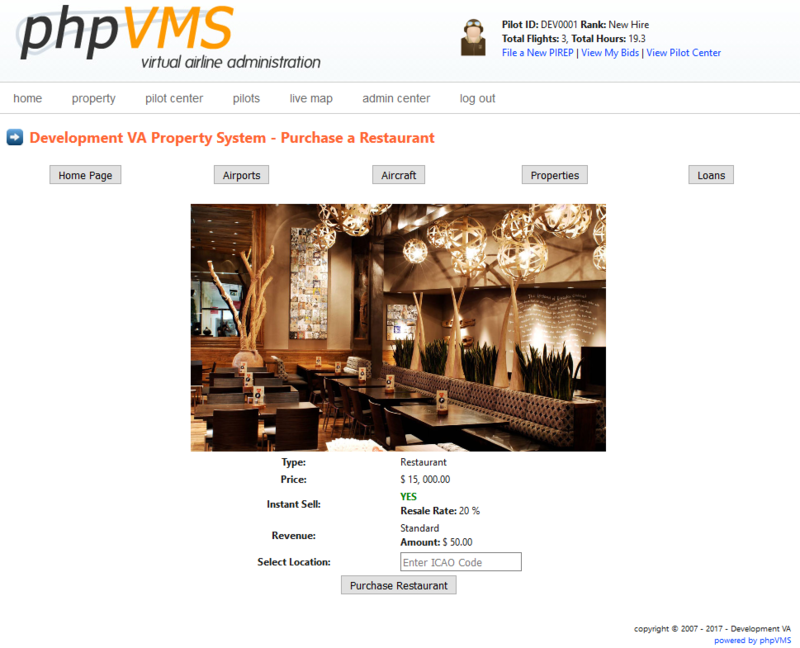 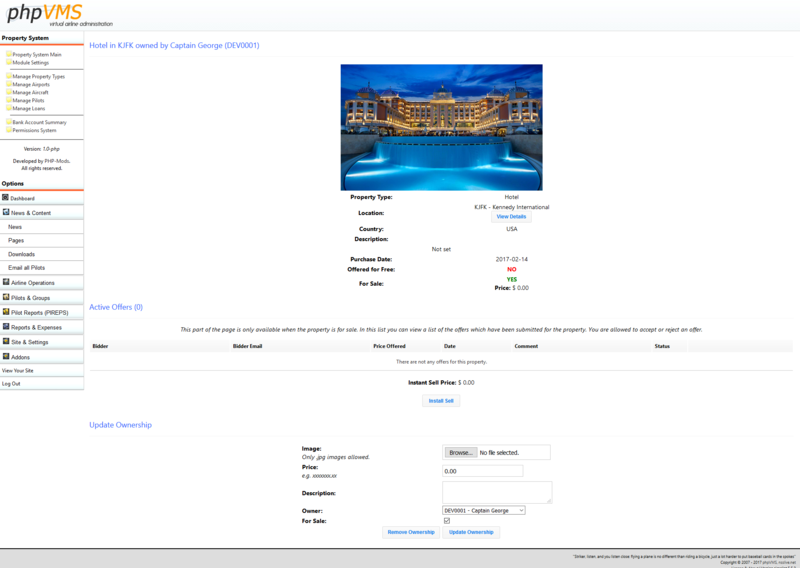 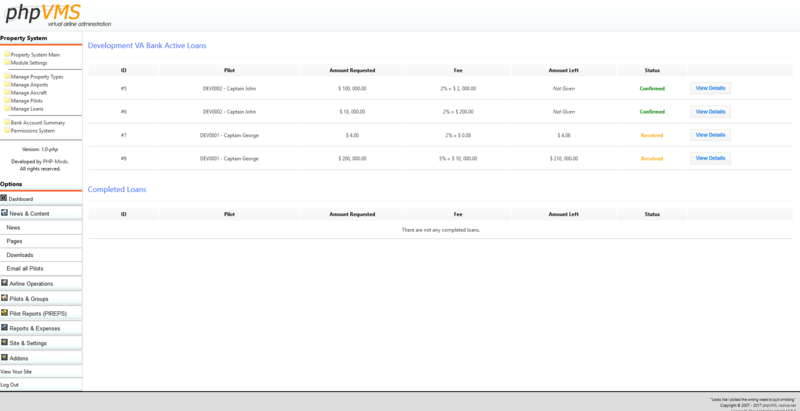 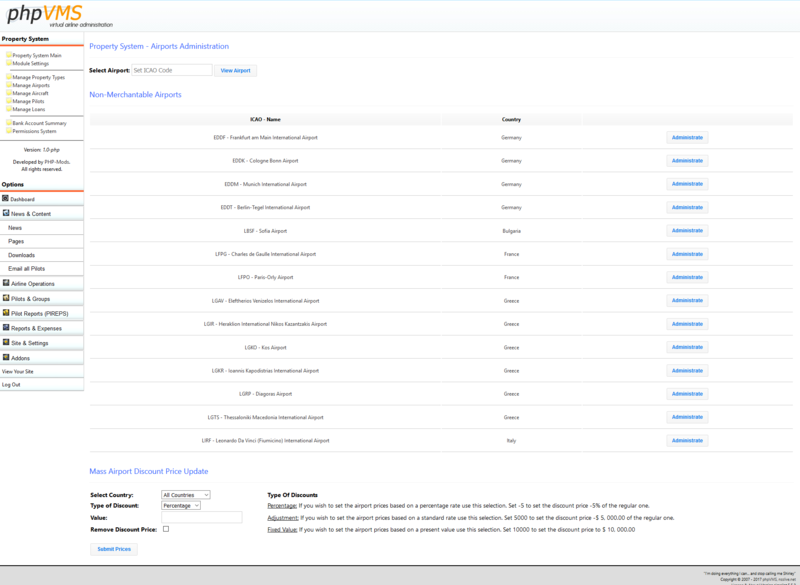 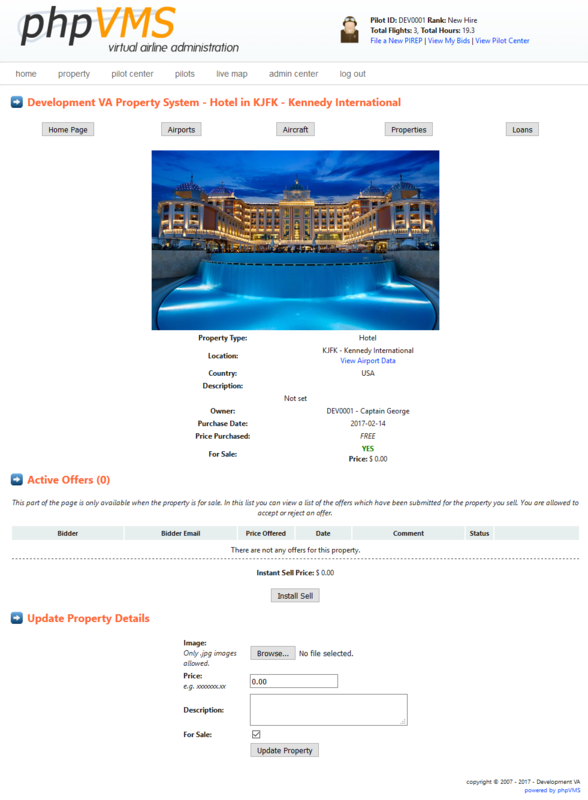 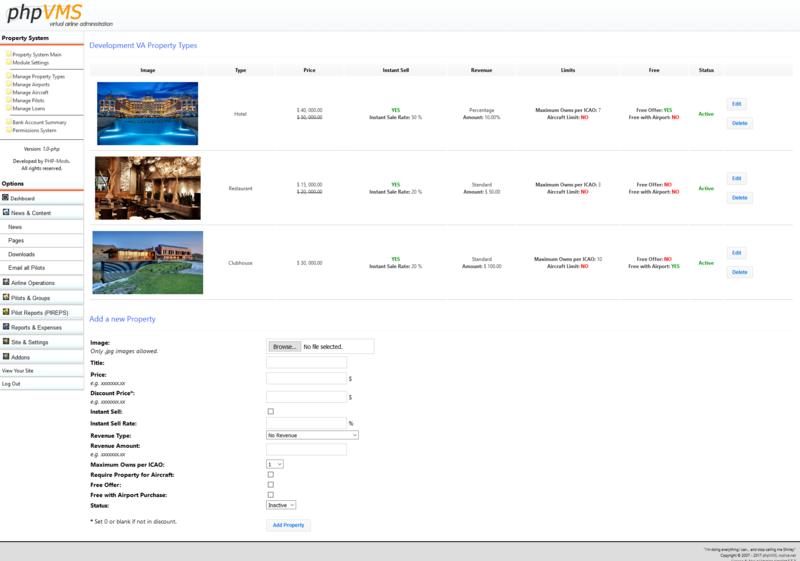 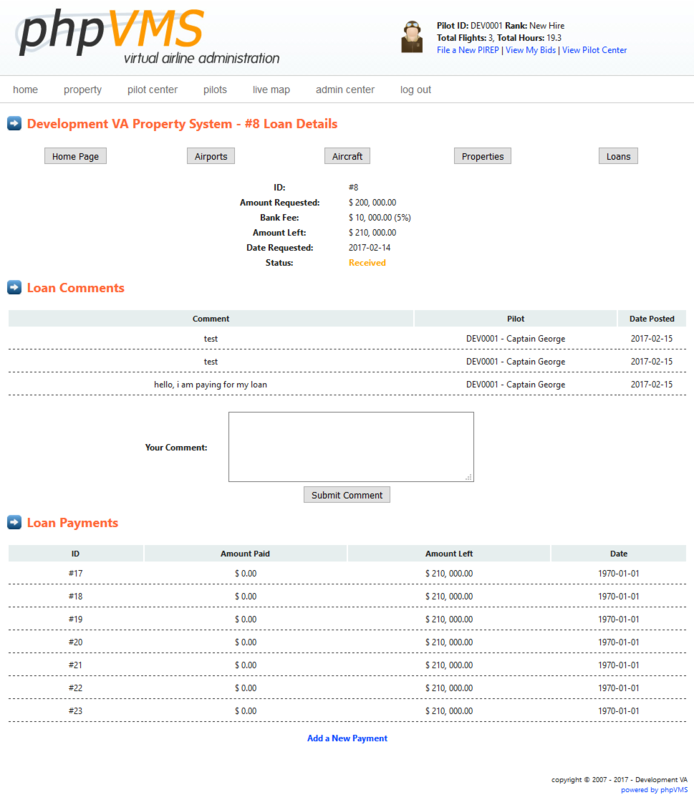 Several types of other properties can be added to the system (Hotels, Restaurants etc). 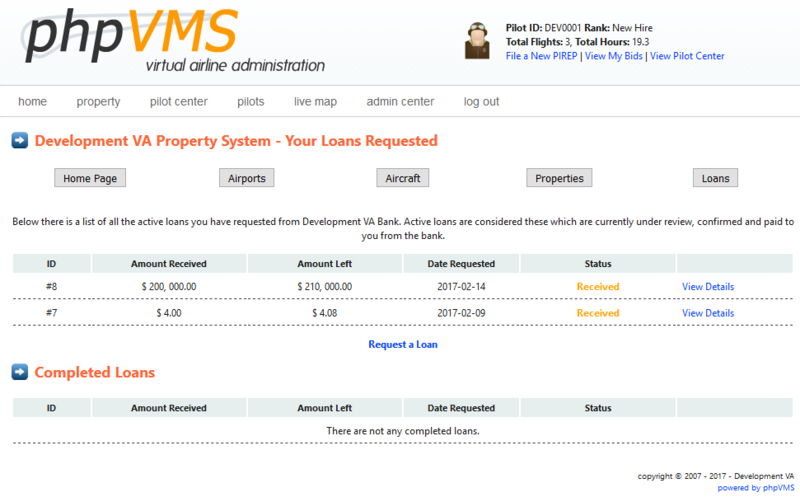 The pilots are making profit of their purchased properties. 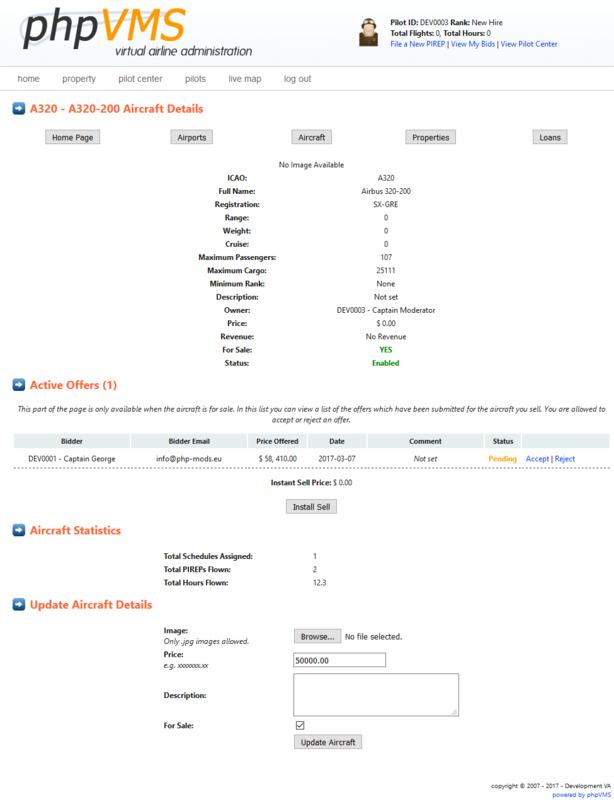 The pilots may be required to pay a fee for the aircraft they own (maitnenance cost). 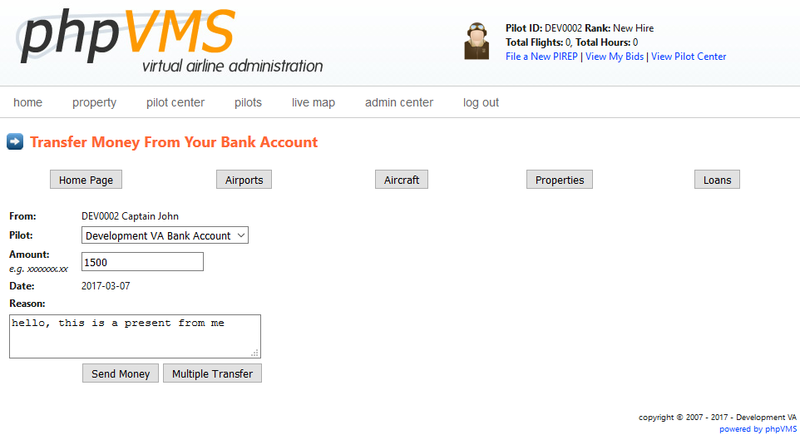 The pilots are able to request loans from the virtual airline with a specific fee. 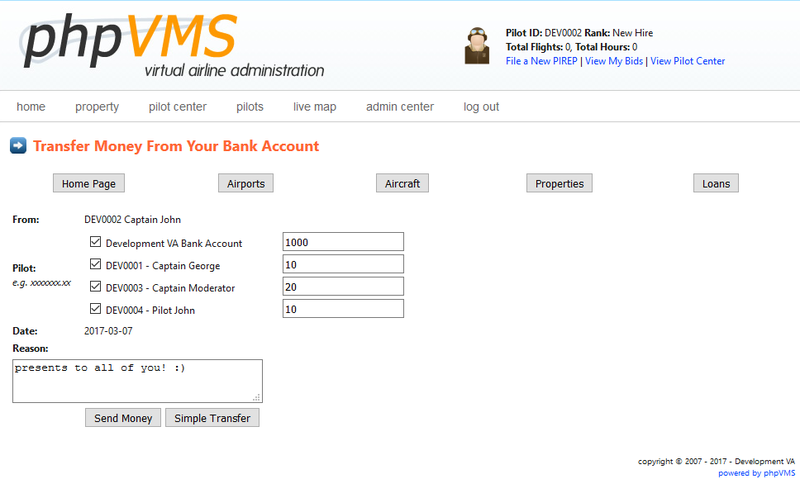 The pilots can sell the properties they own to other pilots or instant sell them back to the virtual airline. 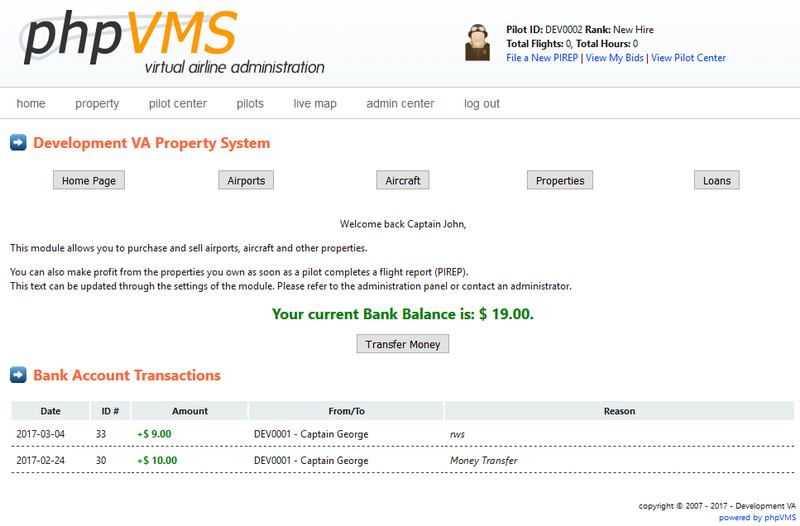 The pilots can transfer money to other pilots or the virtual airline.